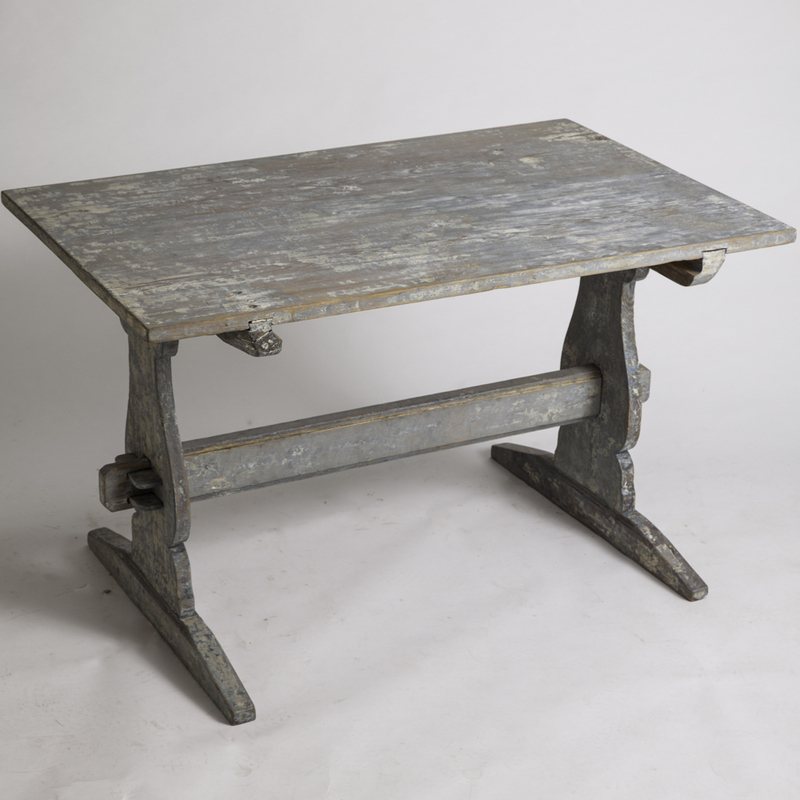 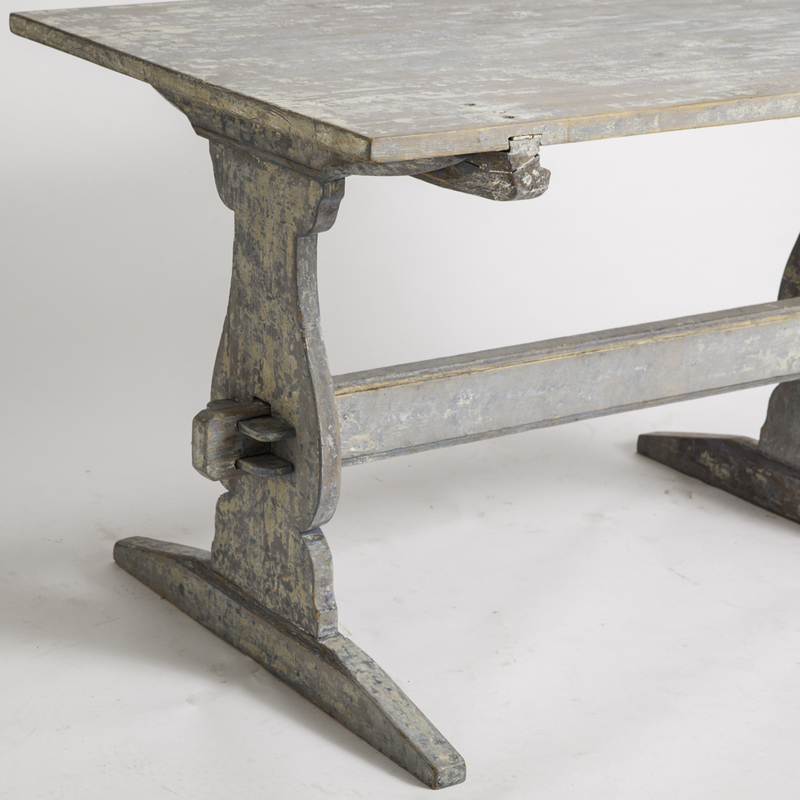 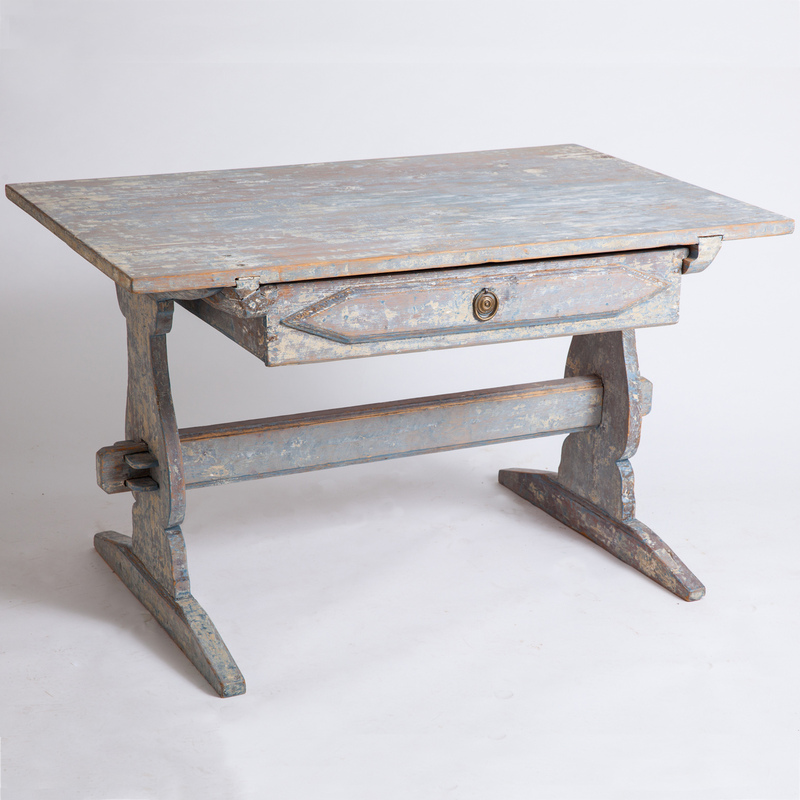 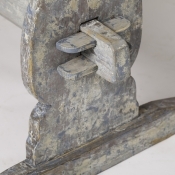 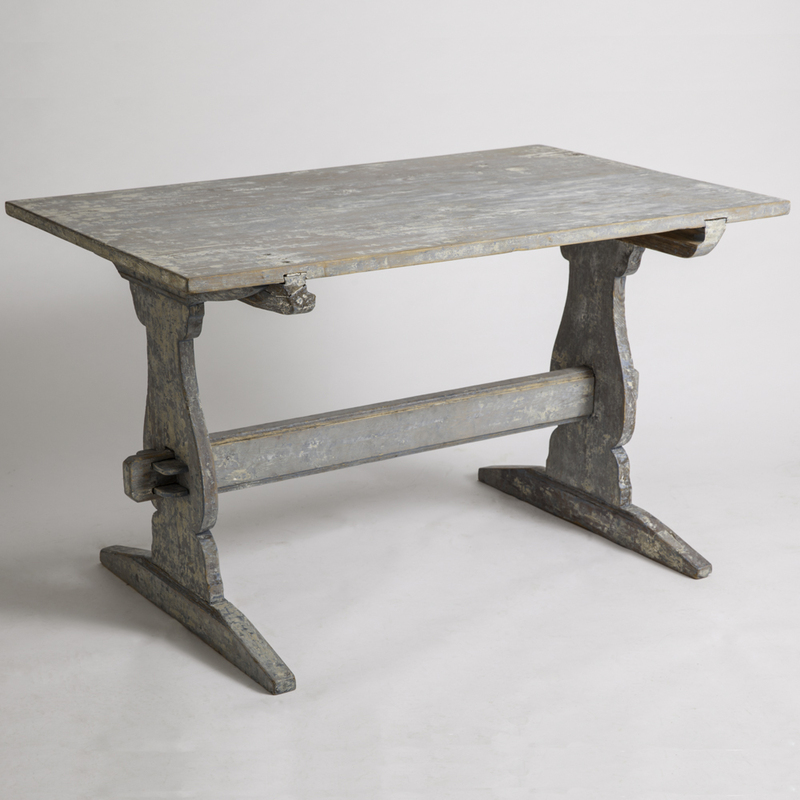 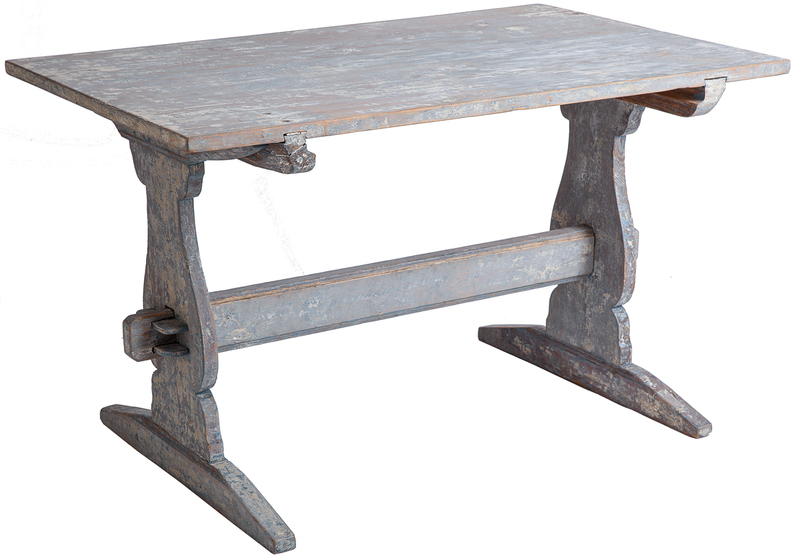 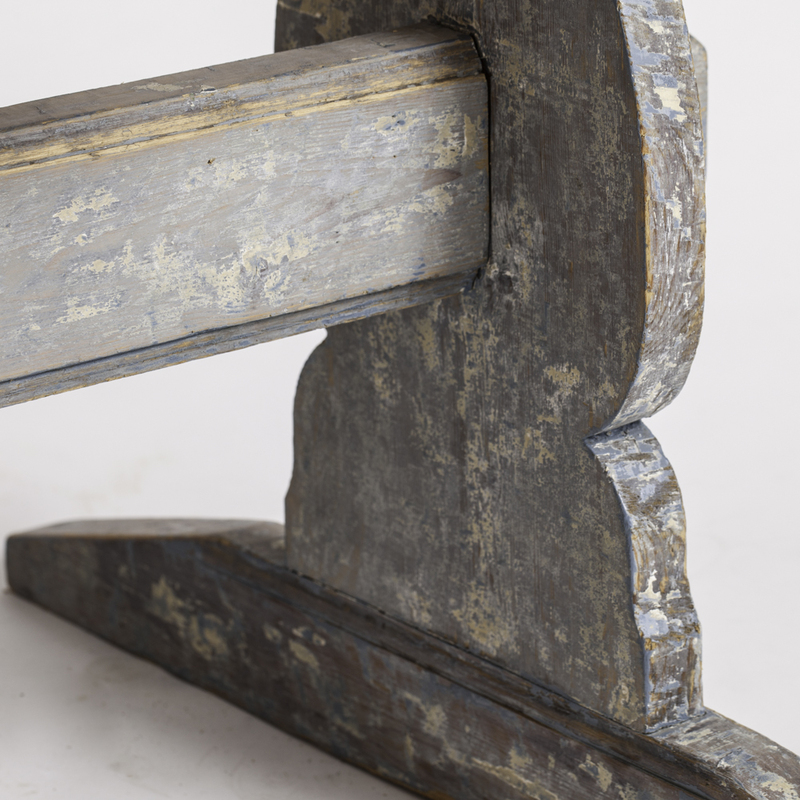 This Swedish trestle table has been dry scraped to a wonderful original blue surface. 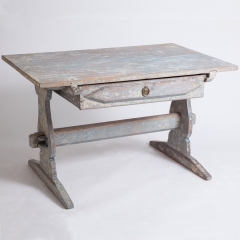 Perfect for eating, or with its removable large drawer, makes a great desk or worktable. 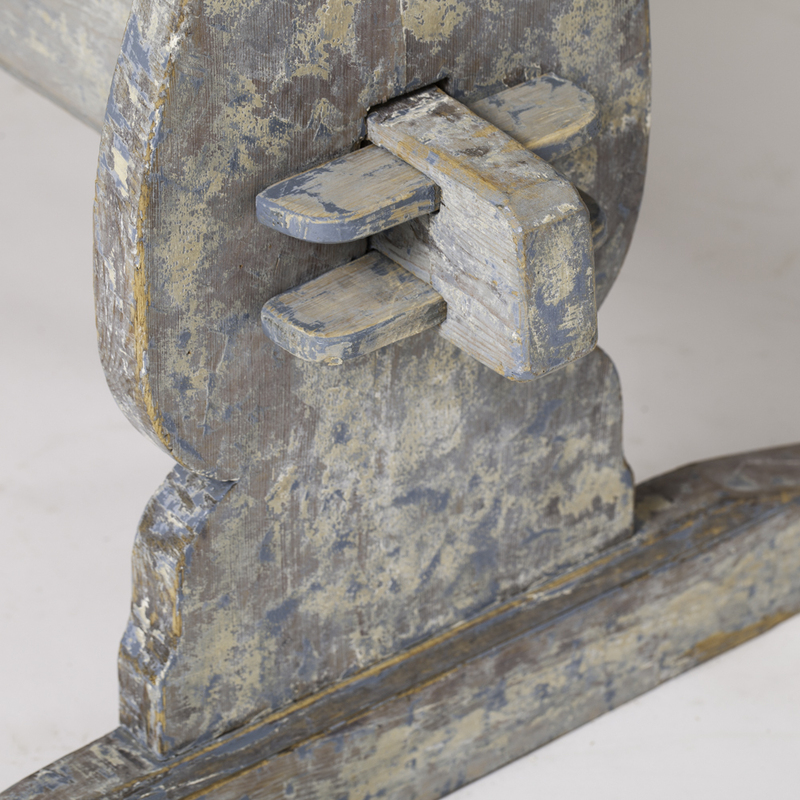 The original pegs on both sides make it very stable.